Leaders with the smart device company say the things they learned at last year’s event are helping them get ready for this year’s Summit. When iDevices attended its first TecHome Builder Summit in 2016, company leaders were hoping to develop new business relationships and let builders know about its unique products. Little did they know it actually would be a learning experience for them, as well. They now are using that knowledge they picked up from builders to plan their approach at this year’s Summit. iDevices manufactures connected power, lighting and climate control solutions with a comprehensive set of both plug-and-play and in-wall solutions. The company’s goal is to show homeowners that they don’t need to spend $30,000 to outfit their home with tech and that they still can put highly advanced and sleek products in their home at a lower price than other options available on the market. The Instant Switch allows builders to put a wall switch anywhere. 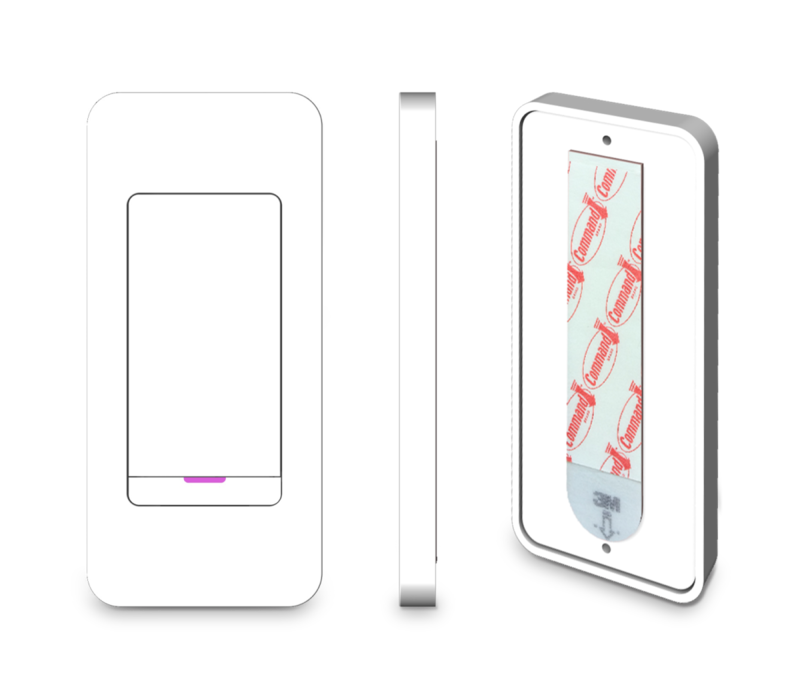 One product iDevices will be featuring at the TecHome Builder Summit is its popular Instant Switch, an adhesive, wall-mounted, battery-operated wireless switch that can be placed anywhere. It uses Bluetooth technology to connect with devices through all three major platforms – Amazon Alexa, Apple HomeKit and Google Assistant. Company leaders say they like to find builders looking to differentiate themselves, and they believe this is something that can help them do that. Simplicity and convenience are major parts of the iDevices story. And, while that’s one Katz was telling at last year’s TecHome Builder Summit, that event turned into something much more than what he expected. In addition to introducing more builders to his company’s products, he also learned some important things which he will use as he prepares for this year’s event. He says he discovered iDevices was creating solutions to some segment needs he didn’t even know it was addressing. 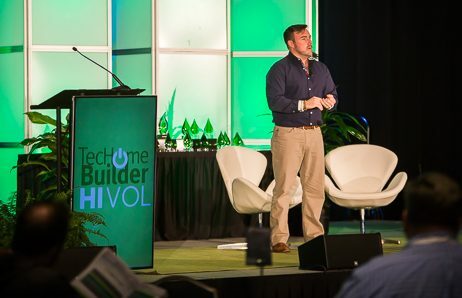 iDevices CEO and founder Chris Allen delivers a presentation at the 2016 TecHome Builder Summit. 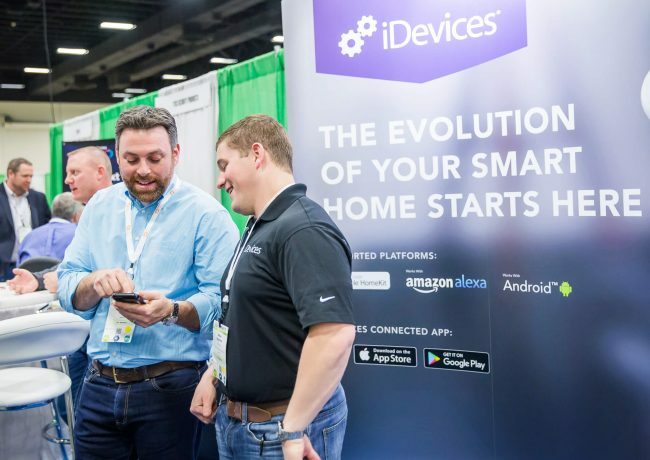 Katz and the iDevices team will be using this year’s Summit to continue to stake the company’s spot in the connected home market and try to draw out some differentiation and parallels against some of the more antiquated technologies builders are using. Not only will they be showing off their current products, like the Instant Switch, but they also have a couple new things in the works that Katz calls a nice expansion to what they already have. In addition, iDevices also is under new ownership. The business was acquired by Hubble Corporation in April, bringing together a company that’s on the forefront of IoT and a giant in the electrical and lighting space. Katz believes this new development, combined with the company’s current and upcoming products and the team’s experience at last year’s Summit, creates a unique proposition for builders they will be putting on display at this year’s event.